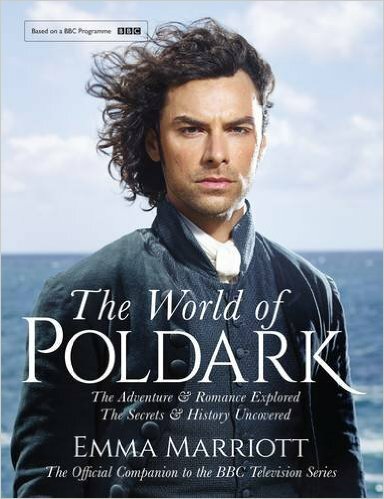 It is rumoured that Poldark will be being filmed at Great Chalfield Manor in Wiltshire next week. 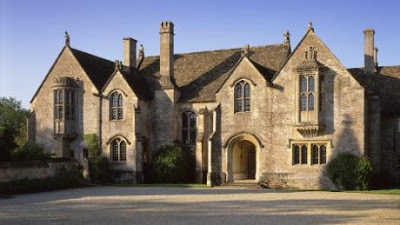 Great Chalfield Manor is a 15th century manor house and National Trust property which is a favourite with film makers. Lark Rise to Candleford, The Other Boleyn Girl and Tess of the D’Urbervilles were all filmed there. Last year the interiors stood in for Austin Friars, Thomas Cromwell's home, in Wolf Hall. Great Chalfield Manor is open to the public during the Spring and Summer. Whose house in Poldark do you think it will be? 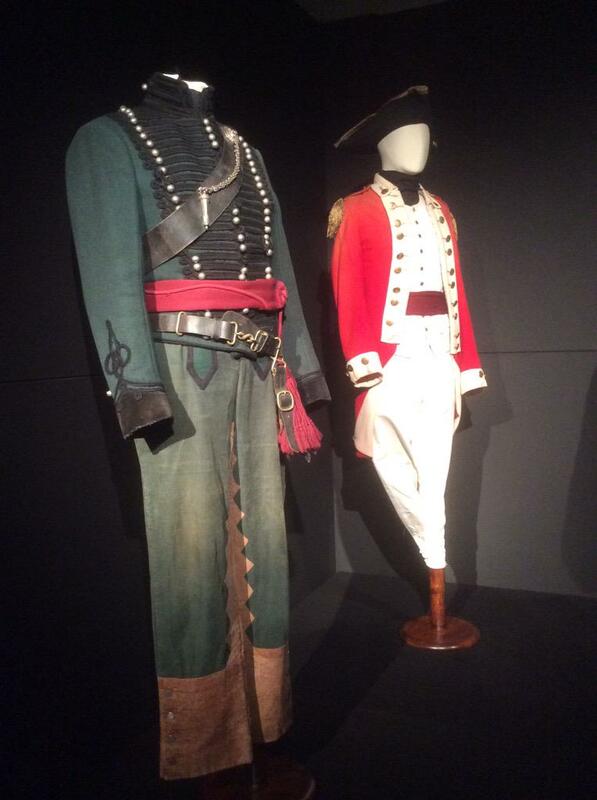 How would you like to get up close to the very uniform worn by Aidan Turner in Poldark? You would? Well now you can, at the Dressed by Angels Exhibition in London. 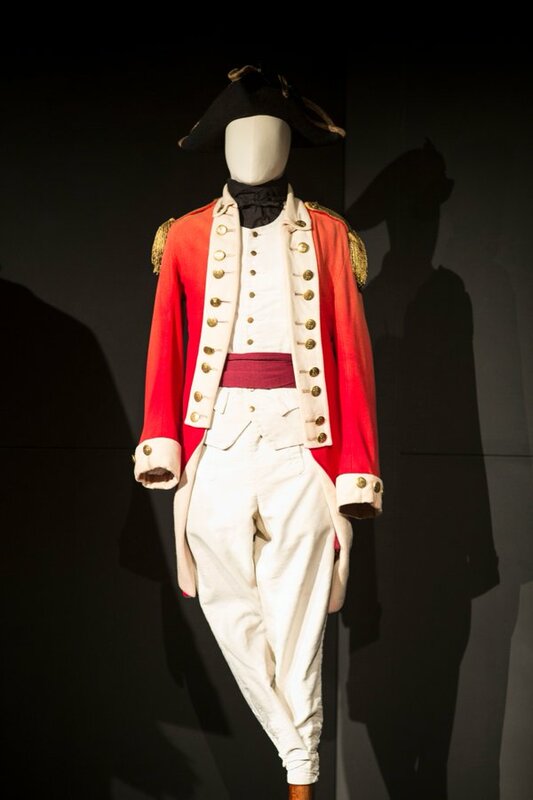 The exhibition celebrates 175 years of Angels Costumes providing costumes for film, TV and theatre and includes costumes worn by Fred Astaire, Judi Dench, Cate Blanchett, Meryl Streep and Benedict Cumberbatch. Aidan's outfit stands side by side with one worn by Sean Bean in Sharpe's Rifles. 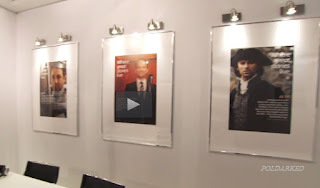 Dressed by Angels is on at Old Truman Brewery, London E1 until 3 January, 2016. Tickets (Adult £16) can be booked online. 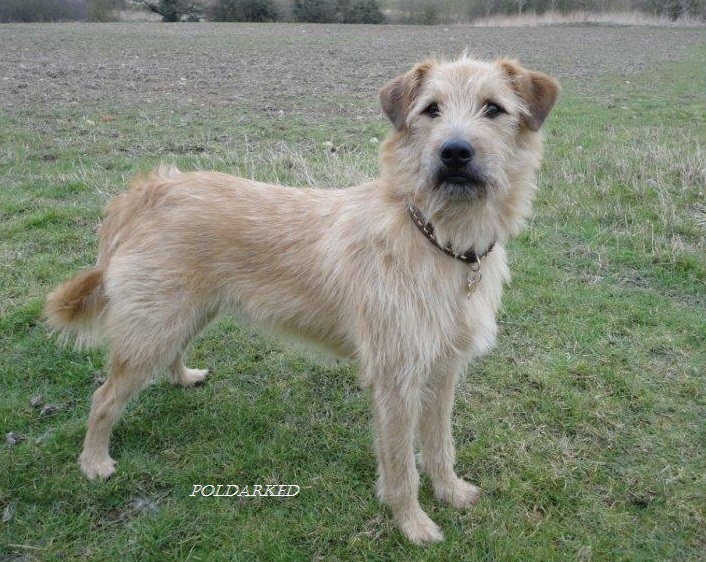 Demelza's dog, Garrick, is called Barley in real life. 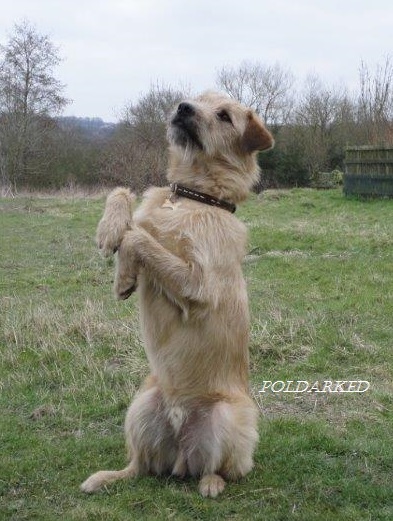 He is trained by Gill Radding's Stunt Dogs and Animals. Here are some pictures of him from their website but first, take a look at the film of him going through his paces. Cute or what? The press reports of Jack Farthing and Heida Reed performing as scene from Poldark II for William and Kate and the Chinese President today at Lancaster House, contain spoilers, so here is an excerpt from Yahoo's report with the spoilers removed. 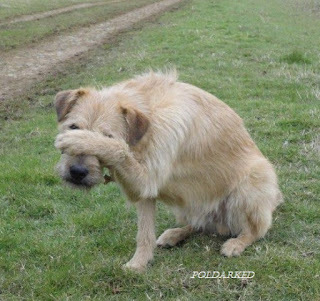 William, Kate, Mr Xi and Madame Peng were given a sneak preview of a crucial scene from the next series of the hit show Poldark during their tour of British creative talent. The foursome watched intently as Heida Reed, who plays Elizabeth, and Jack Farthing, who portrays Poldark's nemesis George, argued. Dressed in period costume and in the sumptuous setting of Lancaster House, they performed an intense scene. 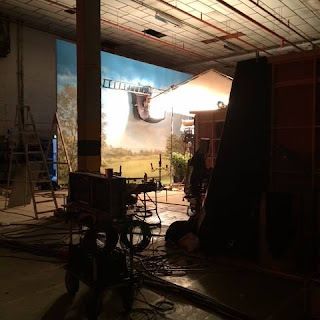 Studio cameras and a sound engineer were also in place to give a sense of a film set and after the scene ended the guests chatted to the actors and Debbie Horsfield, writer and executive producer of the hit show. 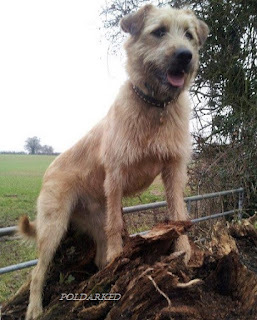 William asked ''how's it been down there in Cornwall, windy? '', and Farthing and Reed replied together ''really windy'', with the Duke responding ''all the sound microphones were (probably) blown away''. 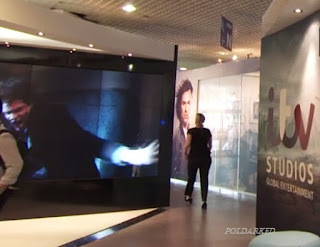 The full report from Yahoo, with spoilers, can be read here. 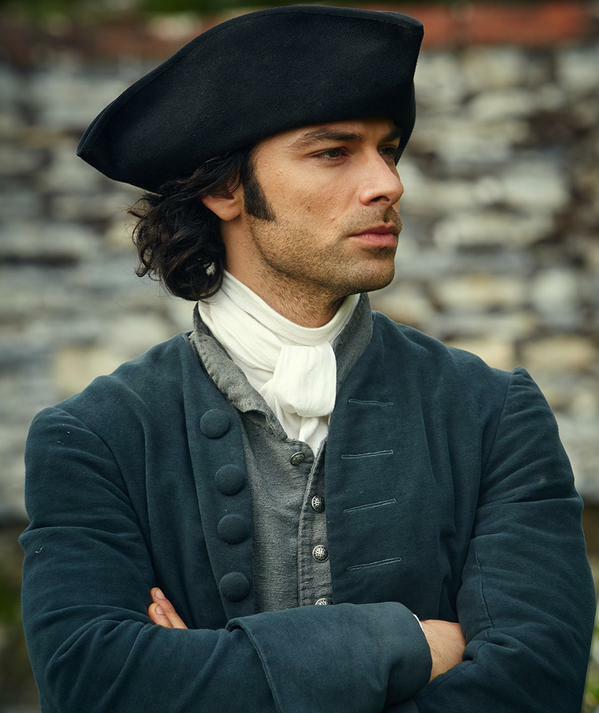 As the state visit of the Chinese President continues there's news that Poldark is to air in China. Poldark will be shown on the leading Chinese online video company channel LeTV in an multi-year deal with ITVS Global Entertainment, according to the Government Press Release It will be broadcast in December. 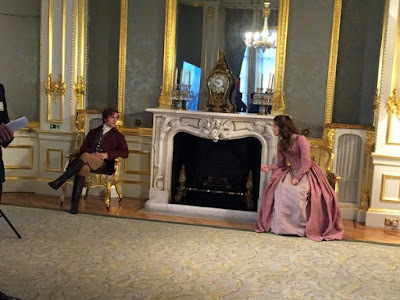 Earlier today, cast members Heida Reed (Elizabeth) and Jack Farthing (George Warleggan) were invited to Lancaster House to meet The Duke and Duchess of Cambridge and the Chinese President, in an event to showcase the creative industries. 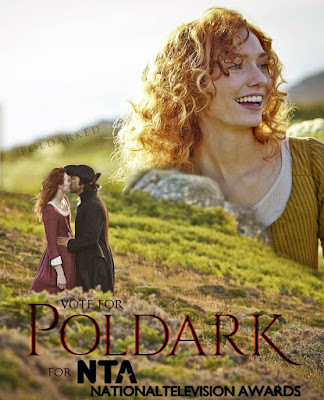 Pamela Haddock is the Hair and Make-up Designer for the second season of Poldark. She takes over from Jacqueline Fowler who did this role for season one. Pamela has worked on many well-known productions including Sherlock, Agatha Christie's Marple, Agatha Christie: Poirot and Larkrise to Candleford . She was nominated for a BAFTA for Best Make-up and Hair Design for her work on The Life and Times of Nicholas Nickleby. Most recently she has worked on Black Sails and Galavant. 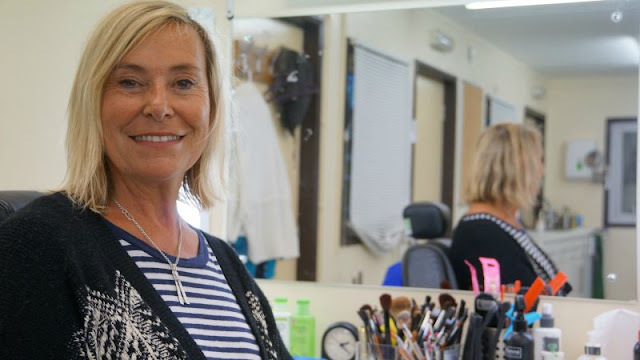 Pamela told Bristol 24/7 “I've been doing make-up for 35 years and sometime the personalities you have sitting in your chair turns you into a bit of a psychologist...You are the last person they see before they go on and they want to feel confident so it's all about that - getting a relationship with them. 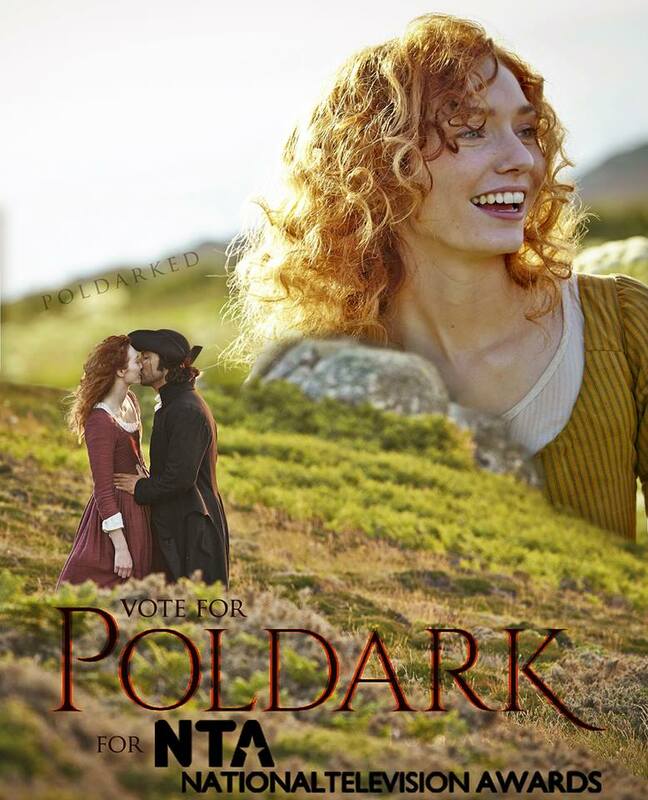 We're looking forward to seeing Pamela's work on Poldark in 2016. Debbie Horsfield (script-writer) and Karen Thrussell (executive producer) are to guest at the Poldark event at Looe Literary Festival this November. The talk, with Q&As from the audience, is on Saturday 14 November at 11 a.m. Tickets cost £8 and can be booked here. 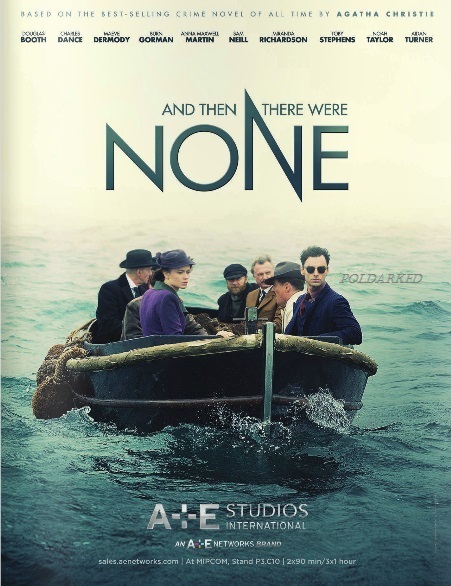 This poster from WorldScreen for And Then There Were None was part of the advertising campaign by A+E Studios International at MipCom, the global entertainment content market, last week. 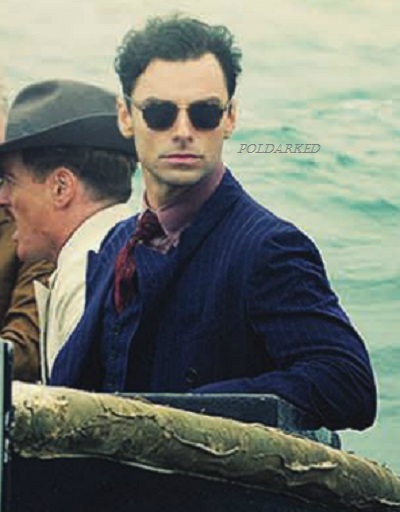 Aidan Turner plays Philip Lombard in the BBC's dramatisation of Agatha Christie's novel And Then There Were None, which will be broadcast in the UK at Christmas. 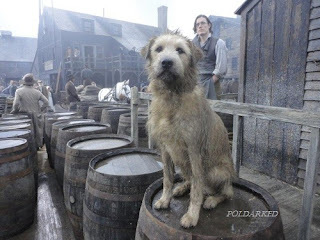 Other cast members include Douglas Booth (Great Expectations), Charles Dance (Game of Thrones), Anna Maxwell Martin (Death Comes to Pemberley) and Sam Neill (Peaky Blinders). 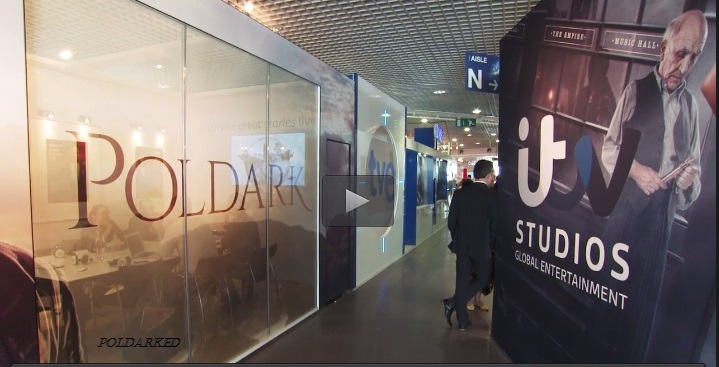 ITVStudios Global Entertainment, the international distributors of Poldark, were promoting the drama at MipCom, a global entertainment market where TV programmes are bought and sold, last week. 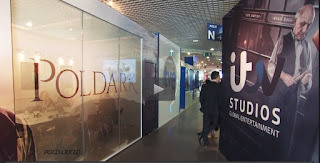 It's from there that we learnt that Poldark will air in Turkey on the new Discovery Communications channel TLC, which launches in November according to Variety. 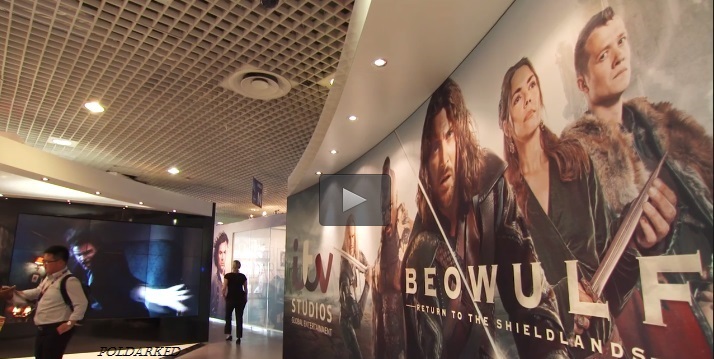 Other dramas to premiere on TLC include Fear the Walking Dead and Aquarius. Here are some screencaps from MipCom.